Trees by Brady uses two sizes of tree spades for transplanting. 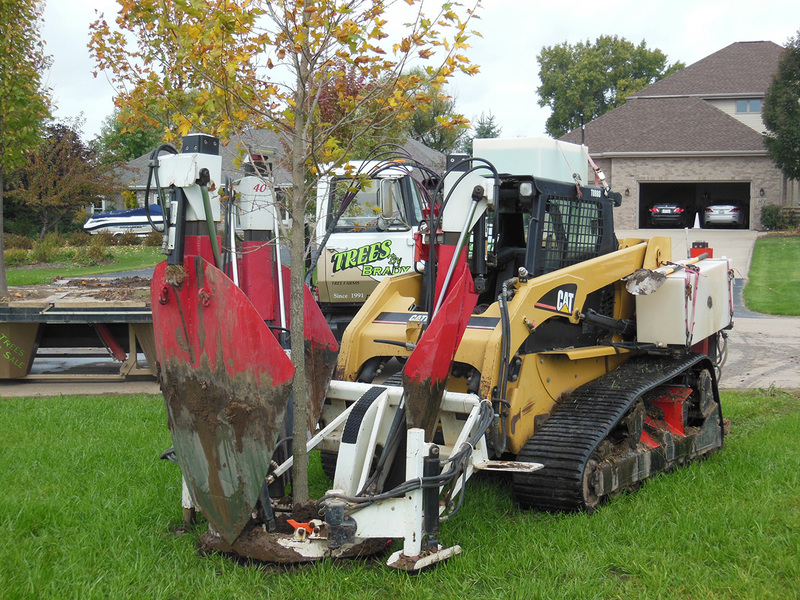 Our 40’’ diameter rubber track loader spade transplants trees up to 3 ½’’ trunk caliper. 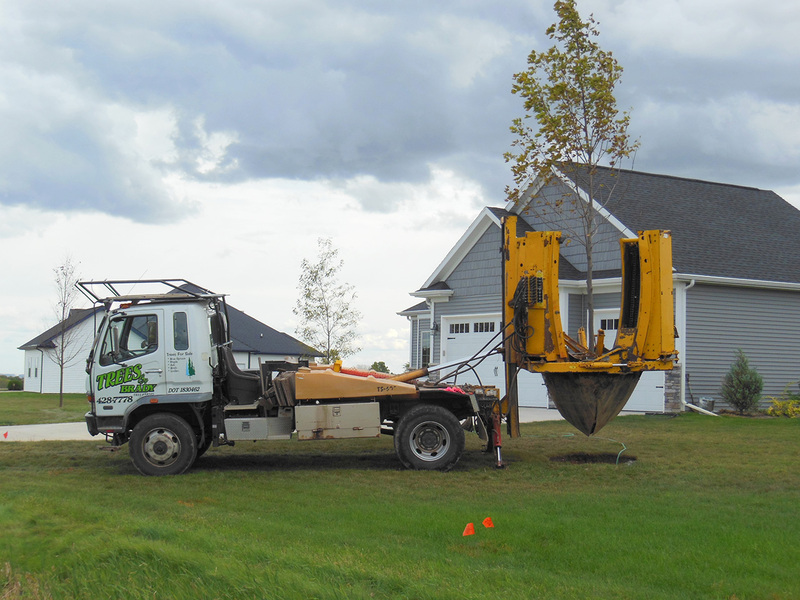 Our 60’’ diameter truck spade transplants trees up to 6’’ inch trunk caliper. We can also assist you with finding a larger tree spade if your trees are bigger than 6’’ inch trunk caliper. Diggers Hot Line requests that the digging contractor calls in their own locate at least 3 working days prior to any digging taking place. If the home owner would like to reference their own utilities beforehand you can call in a locate at 1-800-242-8511. Measure your trees trunk caliper six to eight inches up from ground level so we can help you determine the proper size spade needed. Transplanting costs can vary due to the number of trees, transporting distance, size of tree spade, tarping, tying, hole re-filling and site conditions. Call with your information so we can quote you a price per tree.